"Bilbao in gray makes us think of the transient that takes the maelstrom, in aeviternal, which has had a beginning and no end, in eternity, has not begun and will not end." Azorin. 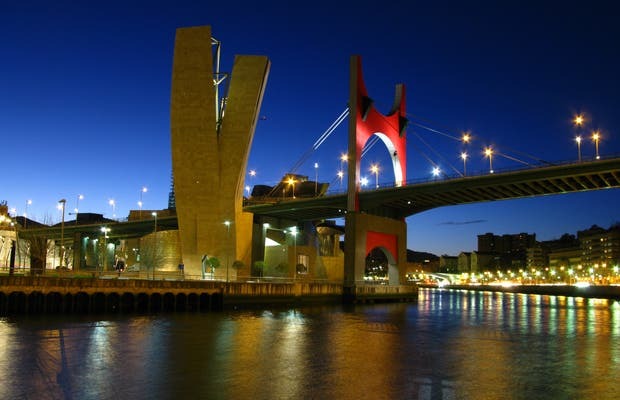 Bilbao brings me to the writers of the generation of 98 and walking through its streets is like walking into a novel by Miguel de Unamuno, who was born in Bilbao. Not surprisingly already anticipated Don Miguel: "Bilbao .and I will not ever completely die, because he can not die at all and I hope to live in it. " There lives the author, between the gray Azorín and rain, that stops us in our stroll and remarked: "Bilbao and rain, rain, lightly, blurring the air, dark facades and weak loins Archanda, gently raining.